Historical and distinguished dining that offers Chesapeake cuisine. A great stop on Masters Sunday! Stopped in for a few bites. We are a few appetizers and a few cocktails. Everything was delicious and we will definitely be back! 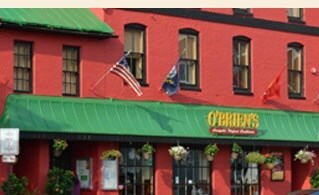 My friend and I had a lovely lunch at O'Brien's on Saturday. Just soup and half a rueben sandwich but it was perfect. The day was beautiful and we sat by the window people-watching and chatting away.